When I first saw this survey of Chinese consumers I had to take a step back and wonder exactly “who” did it. Much to my surprise, the WGC (World Gold Council) who is more “anti-gold” than any group or agency that I know of was the culprit. If they say that 25% of Chinese consumers plan to buy 24kt gold or jewelry in the next 12 months…you can bet that the real number is much higher because as long as I’ve been following gold, the WGC has done nothing but steer people away from it. In my opinion they have consistently underestimated global demand and overestimated global supply since I have followed them. That said, let’s have some fun and do a little bit of math on the back of a “WGC” napkin. OK, so, there are 1.3 billion Chinese citizens and yes I know not all of them can buy even 1/10th of an ounce of gold but let’s go from there. 1.3 billion times 25% equals 325 million (about the size of the U.S.). If each Chinese citizen according the survey (25%) were to buy just 1/4 of 1 ounce of gold then approximately 80 million ounces of gold would be taken off of the market (320 million x 1/4 ounce= 80 million). Umm, does the figure “80 million” ring a bell for you? 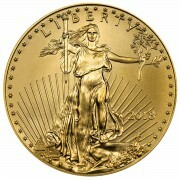 It should, “80 million” is more or less the figure of ALL gold ounces mined in 1 year on the entire planet. Yes I know, not all, probably not half, maybe even not even 25% of Chinese citizens have the ability to buy even 1/4 ounce of gold which at today’s prices means $325. But still, let’s look at the math further because clearly …the “desire” to buy gold is there…and “there” are a lot of potential buyers! If just 25% of Chinese citizens were to each purchase 1/4 ounce of gold it would amount to pretty much every single ounce that every mine on the planet pulled out of the ground…all year long! Is this 1/4 ounce or $325 “too much?” Maybe it is, maybe we should just use 1/10th ounce as the realistic figure. This would be enough for a nice set of very “delicate” earrings. “Delicate” as in doesn’t weigh all that much but let’s keep going. Even if only 1/4 of Chinese citizens decided to purchase a “delicate” set of earrings this year that only weighed 1/10th of 1 ounce, this would speak for 40% of every ounce that is mined globally. 40%, before GLD “buys” their gold, before the U.S. mint buys their gold, before Austria, Switzerland, Germany, Britain and Australia buy theirs for mintage… before the PBOC buys theirs …and before you buy your gold. Actually, if you look at the entire global population, there is barely 1/100th of one ounce of gold mined each year for each human being on the planet. Put another way, there are 85 or so people on the planet for each ounce of gold produced. Does this ratio also sound familiar? It should but if it doesn’t I’ll give you a hint, this is somewhere close to each “paper” ounce (via re hypothecation) representative of each real ounce on the planet. 85 to 1, 100-1…what’s the difference? 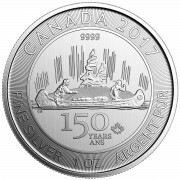 Have you ever seen a 1/10th ounce coin? It is smaller than a dime! Have you ever seen a 1/20th ounce coin? You can barely see it; it looks like a thin little button. What does 1/85th of an ounce look like? My eyes are getting bad; I might not even be able to see it. Do you have your share yet? Seriously, I set out in this piece to do the math regarding the Chinese because they clearly “want gold” but after doing the math it turns out that if you buy just one ounce…that is your “share” of production for the next 85 years …compared to everyone on the planet? Does that sound like something that is “plentiful?” “Plentiful” as in what you are continually told is something that has a “bottomless pit?” It turns out that gold when looked at from a macro view is anything but bottomless. Before I finish this, I would be remiss if I didn’t ask the “question.” The “question” being “if between China and India, every single mined ounce of gold is spoken for…then where is the supply coming from to meet the demand?” There is one place…and ONLY one place. Unfortunately this one place brings into view the “rule of law,” or I should say the BREAKING of the rule of law. The ONLY place that gold can be coming from to meet the current and documented demand is from “official” hordes. “Official” as in sovereign hordes. Unfortunately for the “sovereigns,” much of their gold is not held by them…it is held by the NY Fed in “safekeeping.” Also unfortunately, if you use any common sense at all, the only place that much of the “supplied” gold can be coming from are from these official hordes which means the real “owners” are not the sellers, the custodian is. OK, I’m sorry for being the one to do the math and tell you the truth but the gold that is being bought…has to come from somewhere. “Somewhere” as in “where” there is actually gold because it can’t just be conjured up out of thin air. And yes, “unfortunately” much of the world’s gold is held at the NY Fed as “custodian.” I ask you this, “if” gold does not exist elsewhere that can be delivered in the amounts that are currently being demanded…then where o’ where could it have come from? This is not “crazy stuff” or conspiratorial thinking; it is merely a process of elimination. I have documented for you several times and from several different angles or vantage points…supply does not meet demand and can never hope to at the current pricing. I hope that this piece will open your eyes wide. All you need to know are 2 things and 2 things only to protect yourself financially. 1. Gold truly is money. 2. 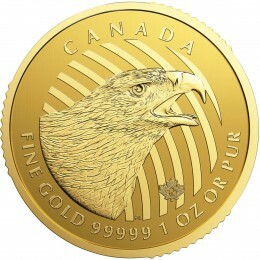 Gold is being produced at a rate of 1/85th ounce per person on the planet per year. As you implied in your “bottomless pit” comment , 1/85th per CURRENT person. In all likelihood future supplies will diminish and the population will rise, so the fraction will get smaller and smaller. I’m trying to see a big picture perspective that ties in all of the dots. Note, I’m not in the financial sector and could easily get wording skewed. Do you think that the following scenario has any merit. 1.Taper winding up near election time. 2.PIGGS bond yields dropping, could they be converting their gold into the new 1Kg bars to be held in the new brics development bank. To back up the new gold trade note. 3.Interest rates in some countries are starting to rise in preparation for a currency reset. Was Janets slip of the tongue a hint of the timing. 4.There have been no prosecutions in U.S banking as they are probably preparing for the reset and hence have the GOV backing. 5.All the big banks getting out of commodity trading ahead of reset. 6.There are many other bits of news that gel with this idea, what are your thoughts? could be on any of them. 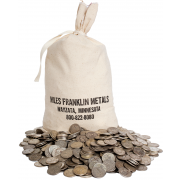 What would happen if 325 million people bought 10 ounces of Silver? Hmmmm. they couldn’t because that amount could not ever be delivered. Bill, I was feeling down today after listing to a video with Harry Dent and that Elliot wave guy. They both seam to think major deflation is heading our way with gold heading a lot lower and cash being the thing of choice. You are one of the very few I consistently fallow. Ive been trying to figure out if guys like you hold my interest because Im a biased viewed half way wannabe stacker or is it because your writings really dig down to the deep’s of the truth. This piece is again another great example why I keep reading your writings, they truly dig deep! thank you Brady, bottom line is that we cannot have deflation in a fiat world…the government would go broke as they are now the biggest debtor AND issuer of the “trust me” currency. Keep your head up and follow your gut common sense, it won’t steer you wrong.